My sister and I join my mom annually to have a two day bake-a-thon. 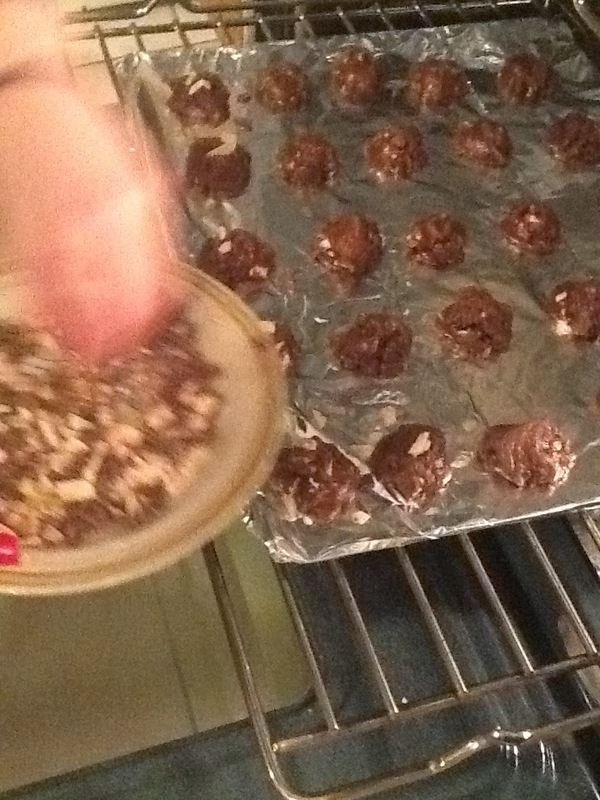 My mom is very traditional in our cookie making, and they are the same ones every year (mostly ITALIAN). 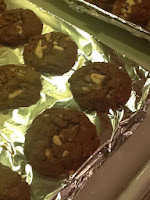 But lately my sister and I have been trying to get her to expand her baking horizons. My sister wanted to make something with peppermint bark, and we found a ton of peppermint bark cookie recipes online. This is adapted from one of the many. We like this one because there is a whole package of chocolate pudding thrown in. That makes for a dense, tender batter. 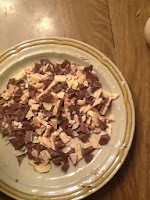 And we use Ghirardelli peppermint bark, so the cookie is smoother, and you don't have a ton of crunch going on as with other coarser peppermint bark. 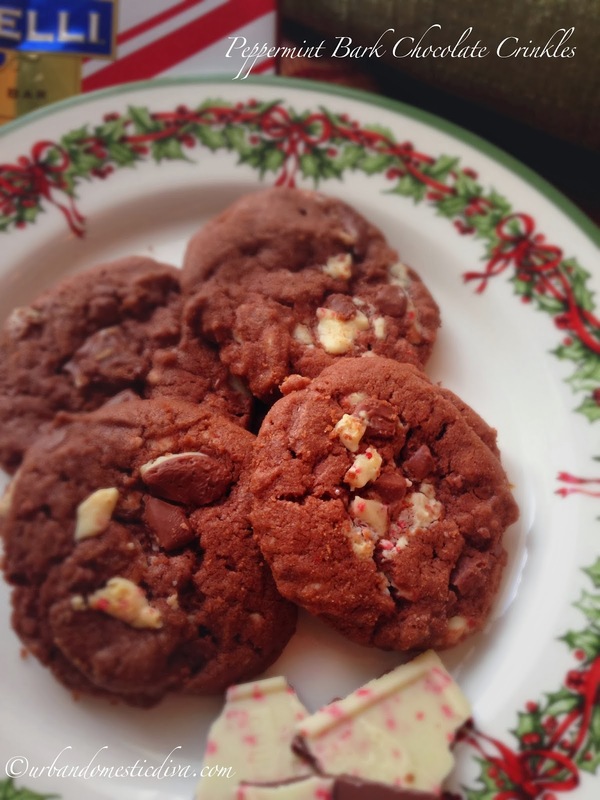 We add a garnish of cut peppermint bark on top of the cookie midway through baking. I recommend taking the sheets out of the oven to do this, so you don't burn yourself. 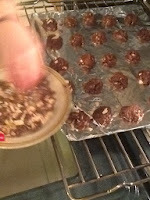 And carefully press in the garnish into the half-cooked cookie so it stays put-not fall off and melt into a giant mess. 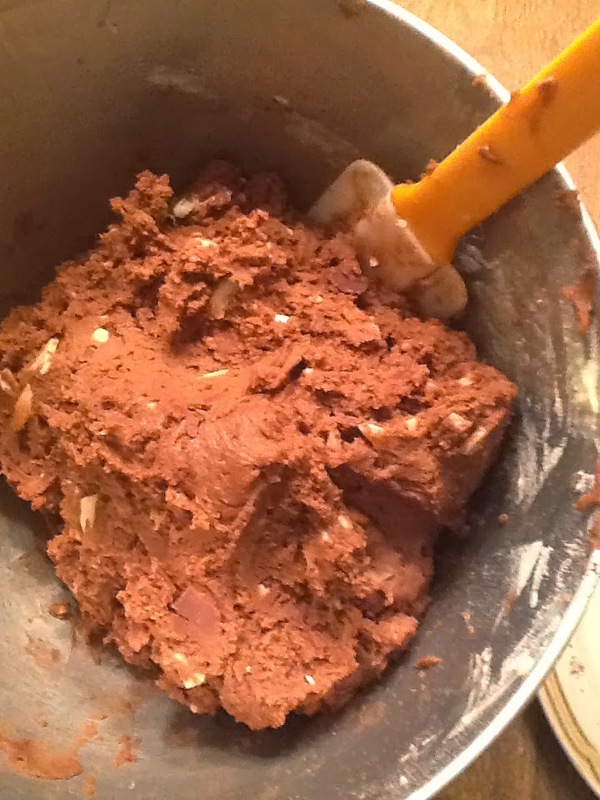 In a small bowl, combine flour and soda then set aside. 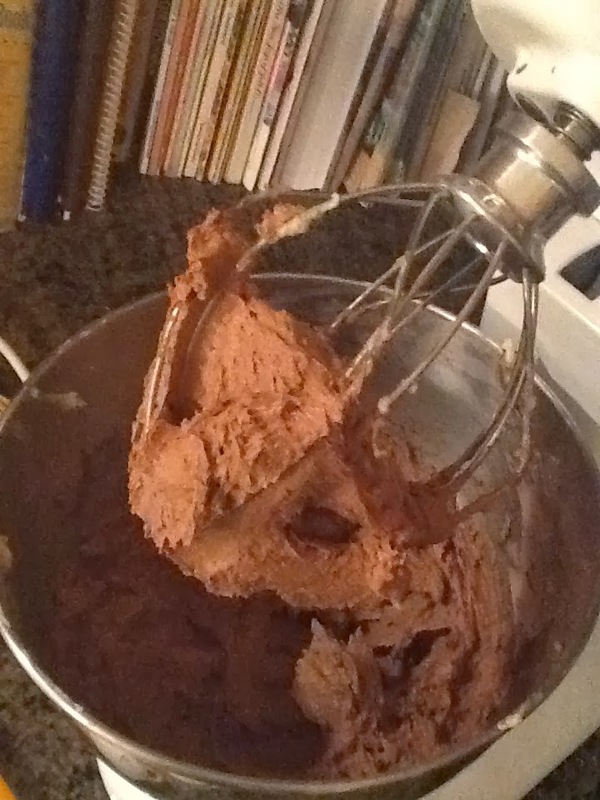 In a mixing bowl, cream the butter and two sugars. Next beat in the pudding mix until well blended (scraping sides often with a spatula). Next add eggs and vanilla, and mix until well blended. 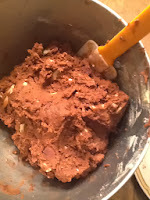 Add the flour mixture and mix until just combined. Stop mixing a few times to scrape the sides again. The dough will be stiff, and will not want to combine but take your time, it will be fine. Just be careful to not overwork it. 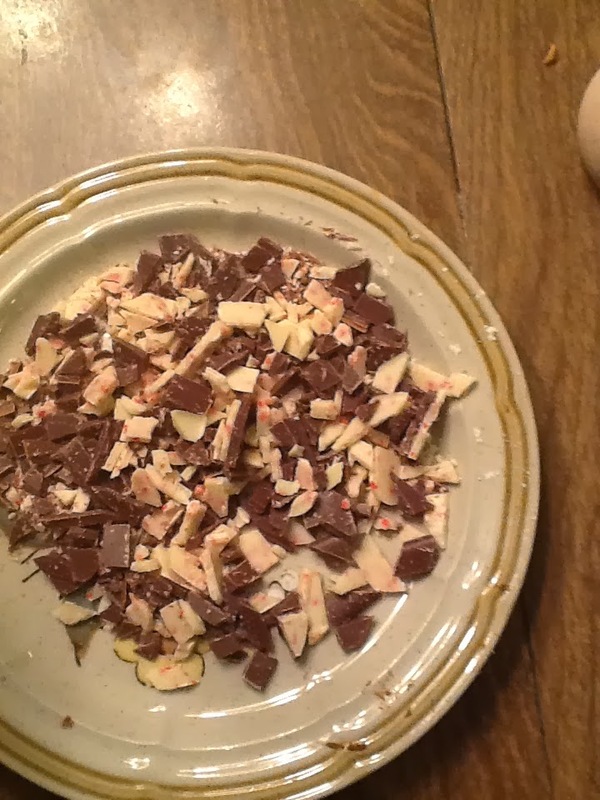 Stir in the 1 1/2 cup chopped peppermint bark. Line a baking sheet with foil or parchment. Drop dough by the well rounded teaspoonfuls, 2 inches apart. Bake 10-12 minutes. 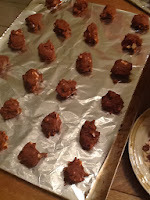 But halfway through, pull sheets out and add a sprinkling of reserved peppermint bark on each half baked cookie, gently pressing into the dough. Bake for the remainder of the time, and try putting them back in the oven on different racks then they were originally for even baking. Once lightly golden on the edges, pull them out of the oven. Let sit on sheets for 10 minutes before transferring to a cooling rack. Store in an airtight container.